Milton "Bugga" William Reed Jr.
Milton "BUGGA" William Reed Jr., born on July 11th, 1958 in New Orleans, La. and a resident of St.Tammany Parish since 1992. 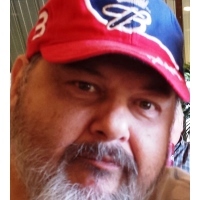 Milton unexpectedly passed away on Wednesday, October 17th, 2018, at the age of 60. He was a Loving and Caring husband and father. Milton was young at heart with a happy-go-lucky personality. He was a body and fender technician. He also was a very highly-skilled professional in ANY and ALL trades. His Passion was restoring antique cars, Cruisin the Coast in Mississippi and NASCAR racing. He was preceded in death by his parents, Ann Rodriguez and Milton William Reed, Sr. Also his sister, Elizabeth Reed Bourgeois. He is survived by his loving wife, JoAnn Bouquette Reed; his One and Only Son, Milton "MAN" William Reed, 3rd. Also two stepdaughters, Selina and Alice Brouillette; three grandchildren, Joshua and Jessica Smith and Angelina Coupel; a brother-in-law, Joseph Sabathe; a sister, Rita Reed Zimmerman; a nephew, Brandon Johnson; two nieces, Antoinette Bourgeois Martin and Missy Bourgeois and a Special child-hood friend, Kim Russo Rulh who was like a sister to him. He was Deeply Loved and will be Extremely Missed " BUT NEVER FORGOTTEN" by his family and friends. Services will be held at Garden Of Memories Funeral Home, 4900 Airline Drive in Metairie, La. Visitation will begin at 12 noon on Tuesday, October 30 th, 2018. The Funeral Mass will start at 2 p.m. and the interment will be held in the St. John Mausoleum located in the Garden Of Memories Cemetery.